Aircrack-NG 1.2 Beta 2 Released! After six months since the last beta 1, the Aircrack-ng Team releases the second Beta of version 1.2. It improve WEP cracking speed using PTW, fix WPA capture decryption when WMM is used, add running tests using 'make check', fix on Airbase-ng the Caffe Latte Attack for all clients, fix compilation with recent version of gcc, on cygwin and on Gentoo hardened and more. Read more for detailed changelog on Aircrack-NG 1.2 Beta 2 Released. John The Ripper 1.8.0 released! 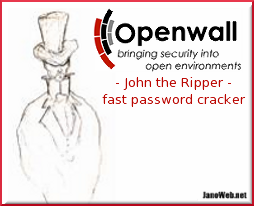 Yesterday Openwall released an updated version of John the Ripper, a Open Source password-cracking for security auditing which supports Unix, Windows, DOS, BeOS, OpenVMS and also used and recommended combined with Aircrack-ng Suite for the creation/mangle the wordlist for dictionary or bruteforce attack using --stout. Same the last release has been sponsored by Rapid7, a leading provider of unified vulnerability management and penetration testing solutions. Read more about this on John The Ripper 1.8.0 Released. hosted in Moscow at Digital October and is finished today. Two days where they meet the elite of Russian Hackers, researchers around the World, Government, business representatives, information security experts, and students. Read more about this on PHDays 2012. 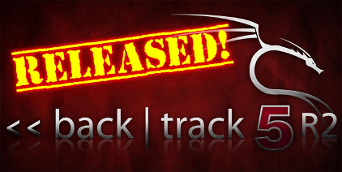 BackTrack 5 R2 with new kernel has arrived today, and it's now available the fresh ISO image or upgrade for R1 version from BackTrack repositories. Back|Track 5 R2 will provide a more stable and complete penetration testing environment than ever before. Read more about this on Back|Track 5 R2 Released. FBI Prepares to Shut Down DNSChanger Temporary Servers! 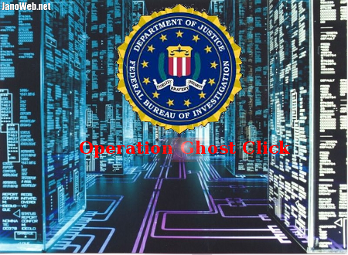 FBI announced that it has successfully completed Operation Ghost Click, two year investigation of a criminal organization that operated from Estonia. The long-lived botnets made up of more than 4 million machines (bot) had been hijacked by the malware was dismantled by the FBI and Estonian Police in collaboration with a group of International Partners. Thousands of computers still infected with the DNSChanger Trojan will not be able to access the Internet after the FBI shuts down its temporary servers March 8. Read more about this on Operation Ghost Click. Hydra is a very fast (multi-threaded) network logon password brute forcing, similar to the famous Medusa Password Cracker. It was tested to work on Linux, Windows/Cygwin, Solaris 11, FreeBSD 8.1 and OSX and supports a lot of services and protocols: TELNET, FTP, HTTP-GET, HTTP-HEAD, HTTPS-GET, HTTP-HEAD, HTTP-PROXY, LDAP2, LADP3, SMB, SMBNT, MS-SQL, MYSQL, POSTGRES, REXEC, SOCKS5, VNC, POP3, IMAP, NNTP, PCNFS, ICQ, SAP/R3, Cisco auth, Cisco enable, SMTP-AUTH, SSH2, SNMP, CVS, Cisco . 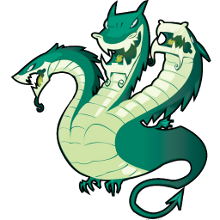 . . . .
Read the release notes and more about THC-Hydra 7.2.
oclHashcat-plus adds support to WPA/WPA2 GPU-cracking using Aircrack-ng! OclHashcat-plus is the GPU accelerated version of Hashcat password cracker. OclHashcat-plus v0.06 is able to use up to 16 GPUs and is available in two versions: OpenCL (oclHashcat) and CUDA (cudaHashcat) and now also implement the WPA/WPA2 cracking using Aircrack-ng capture file. Read more about this on OclHashcat-plus support Aircrack-ng. W3af is a free Open Sourcer GUI tool written in Python for Web Application Attack and Audit Framework. This web vulnerability scanner is easy to use and extend, allowing the execution of more than 130 plug-in, check for SQL injection, cross site scripting (XSS) inclusion of local/remote files, and more. Version 1.0 adds significant improvements of the framework, including: . . . . . .
Read the release notes and more about w3af 1.0 stable. FeedingBottle 3.2 For Ubuntu released! FeedingBottle is a Graphical User Interface (GUI) for Aircrack-ng, similar in functionality to Spoon applications (SpoonWEP/SpoonWPA), the old GRIM WEPA and the most recent WiFite project. This tool is included in Beini (GNU-Linux distribution) based on Tiny Core Linux and used to test the Security of Wireless Networks. Some versions have already been packaged for various different distributions dedicated to Pentesting, which now are almost all based on Ubuntu, so I decided to create a Debian package for it, also compatible with other generic Debian based Distributions. How To Install FeedingBottle on Ubuntu.